Man Swept Away by Floods in Cooke Co.
A Cooke County man died Thursday in a crash attributed to heavy storms and flooding. Brandon Henegar, 36, of Gainesville, was found in his vehicle in a creek nearly a mile south of Spring Creek Road. Officials said it appears Henegar's vehicle appears to have been swept into the remote area by high water. Henegar's car was believed to be near the same railroad tracks where four locomotives and 17 cars on a BNSF train derailed Thursday. Severe storms blew through North Texas Thursday evening leaving a trail of damage and one fatality. 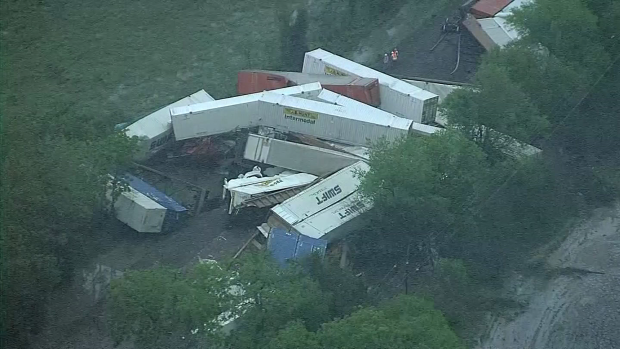 High wind and high water were reported in the area, but officials have not yet declared a cause for the derailment that injured four BNSF employees. The National Weather Service and NBC 5 meteorologists are predicting more severe weather Friday and through the weekend, so all North Texans are urged to stay aware of fast-changing weather conditions over the next several days.